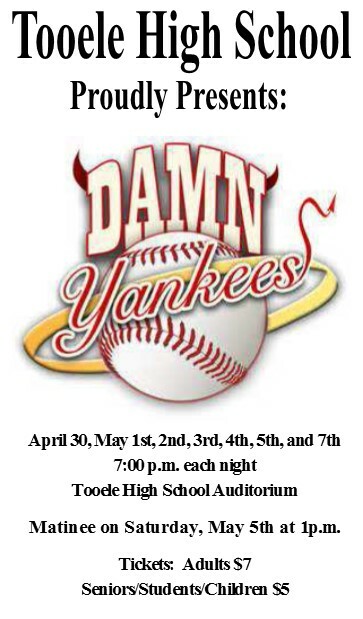 The Tooele High School Theatre Department presents “Damn Yankees”. Performances: April 30, May 1, 2, 3, 4, 5, and 7 at 7 p.m. each night. Saturday, May 5th matinee performance at 1:00 p.m.
Tickets may be purchased at the box office or call 435-833-1978 ext. 2189 to reserve seats. It’s time to move out on your own! 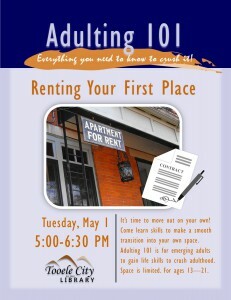 Come learn skills to make a smooth transition into your own space. 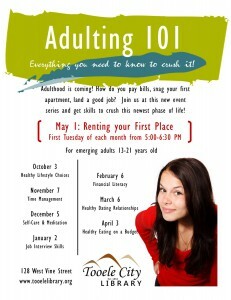 Adulting 101 is for emerging adults to gain life skills to crush adulthood. Space is limited. For ages 13—21. 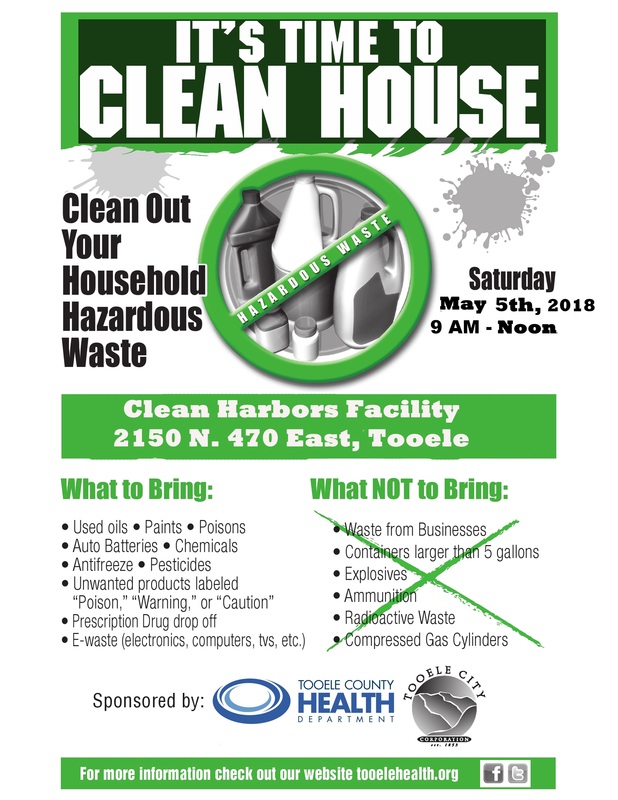 It’s time to clean house at the Tooele County Health Department’s annual Household Hazardous Waste Collection Day on May 5, 2018 from 9 am to Noon at the Clean Harbors Facility located at 2150 North 470 East, Tooele.